Looks like the long Winter has finally broken and Spring is here. One sure sign that Spring has Sprung is the return of the Maple Weekends. We are fortunate to have the producers of the finest sweetener on the planet right here in our backyard. 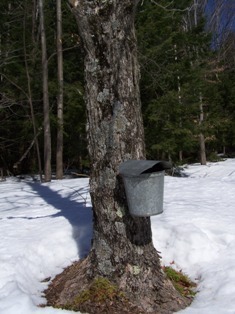 Of course, I’m talking about the annual ritual of Maple sap collection to create Maple syrup. 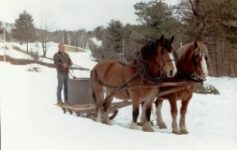 Checkout the article “March Maple Madness” in my previous blog post here at Saratoga.com and read about some of the characters involved in this right of Spring. 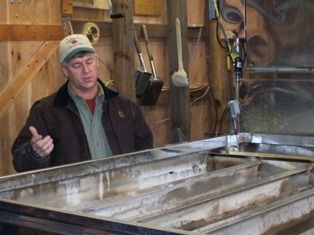 Next stop was up to the Adirondack Gold operation of Mark and Cheryl Kenyon. 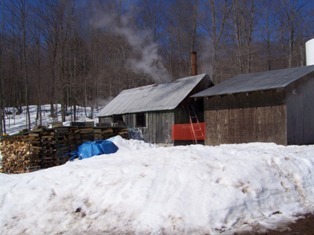 In contrast to the Toad Hill high tech operation, Mark is still using his grandfather’s sugar house and evaporator system. 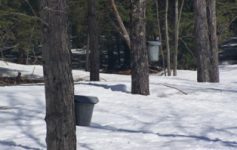 Although the sap is collected in a vacuum tube system, Mark still has a few bucket collectors in use for demonstration purposes. It’s like an interactive museum – they host a lot of school field trips and take great pride in keeping the old tradition alive. The sights, sounds and smells of the old sugar house take you back to the old days long gone. Of course, one can only look at the sight and sounds only so long – what about the taste? 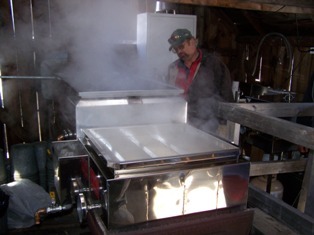 Fortunately, the next stop to Valley Road Maple Farm included a pancake and Maple Syrup Feast. 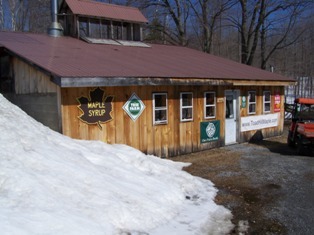 Something about eating pancakes and maple syrup at a sugar house can’t be beat. And buying all the great maple products directly from the producers – not just syrup, but candies, peanuts, and my favorite, the maple cotton candy. These folks work real hard to make all this stuff. An it’s as local as it gets. Buying direct from the producer insures that the tradition will continue to the next generation.